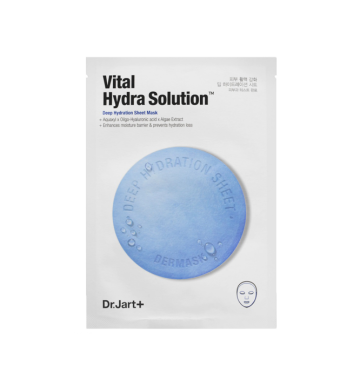 Dr. Jart+ Dermask Water Jet Good Night Vital Hydra Sleeping Mask is a sleeping mask that moisturises your skin while you sleep. 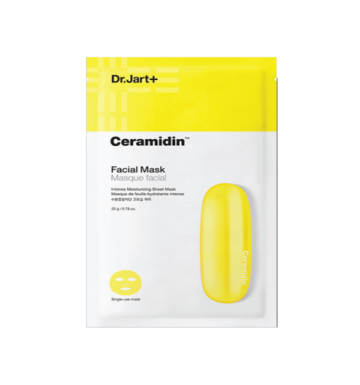 The hydration sleeping mask is designed to deeply hydrate and protect skin's own moisture barrier. Aqua Soothing Complex : patent ingredient derived from plant glucose and xylitol replenish and protect skin's moisture barrier through hydration. Also, Phytoncide helps to soothe and via hydration. 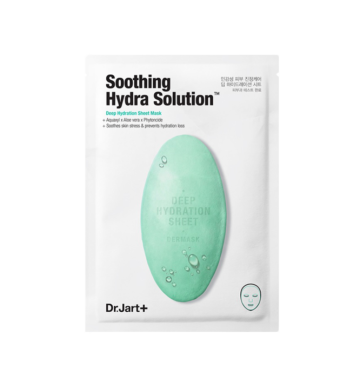 Double Hydra Complex : Hyaluronic Acid + Algae Extract support long lasting moisturization through protecting the skin's moisture barrier and strengthening skin via hydration. 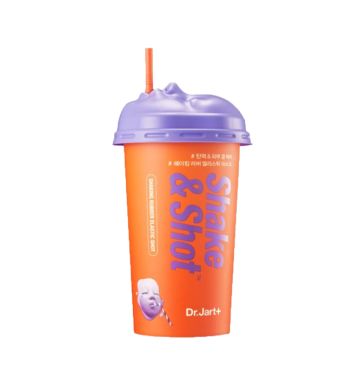 Water, Cyclopentasiloxane, Butylene Glycol, Cyclohexasiloxane, Glycerin, Trehalose, Algae Extract, Laminaria Japonica Extrat, Pelargonium Obtusa Leaf Extract, Melia Azadirachta Leaf Extract, Melia Azadirachta Flower Extract, Coccinia Officinalis Extract, Curcuma Longa (Tumeric) Root Extract, Ocimum Sanctum Leaf Extract, Pentylene Glycol, Ammonium Acryloyldimathyltaurate/VP Copolymer, Phenyl Trimethicone, Polyacrylamide, Caprylyl Glycol, Dimethicone/Vinyl Dimethicone Crosspolymer, C13-14 Isoparaffin, Sodium Hyaluronate, Aminomethyl Propanol, Xylitylglucoside, Laureth-7, Anhydroxylithol, Saccharide Isomerate, Caprylic/Capric Triglyceride, Hydrogenated Lecithin, Glutamic Acid, Glycoproteins, Ceramide NP, Threonine, Valine, Citric Acid, Sodium Citrate, Ethylhexyglycerin, Sodium Metabisulfite, Alcohol, Carbomer, Disodium EDTA, Phenoxyethanol.